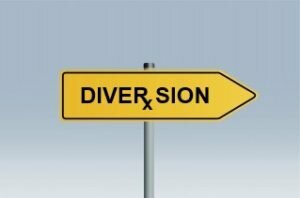 How much harm can a single drug diversion actually cause your facility? All it takes is one stolen or tampered syringe to cause a potential outbreak. Without a watchful eye, entire health care facilities are at risk of exposure. For example, one diverting surgical technician put 5,900 patients at risk due to their carelessness. Not only did they expose patients to the disease, they also used fentanyl syringes for self-use. It led to 19 confirmed cases of Hepatitis C, and the diverting surgical technician now faces 30 years in prison. In a separate outbreak instance, another surgical technician potentially exposed 2,900 patients to Hepatitis B, Hepatitis C, and even HIV infection. 2 people tested positive for hepatitis as a result. This surgical technician faces charges of tampering and obtaining fentanyl by deceit. Lesson learned: all it takes is one irresponsible surgical technician to cause a scare or outbreak. Patient safety is of the utmost importance — keep a watchful eye on any syringes in use. All it takes is one surgical technician to steal a syringe to compromise an entire facility. Check out the infographic below from Diversion Central by Omnicell for more information.